The official final versions of iOS 10.3.3 Firmware (Build 14G60) for iPhone, iPad, iPod touch, tvOS 10.2.2 (Build 14W756) for Apple TV, and watchOS 3.2.3 (Build 14V753) for Apple Watch has been released by Apple for upgradation and installation on supported iDevices. 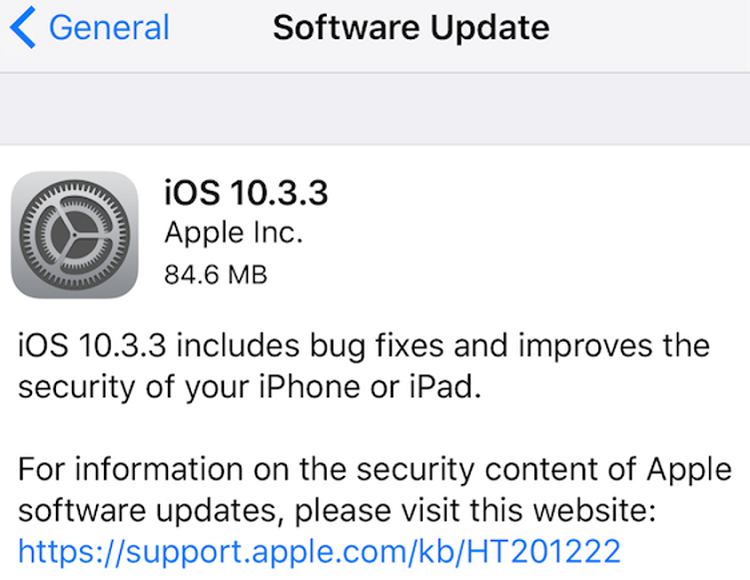 The latest iOS 10.3.3 Update provide fixes for bugs and some security improvements for iPhone 5, iPhone 5C, iPhone 5S, iPhone 6, iPhone 6 Plus, iPhone 6S, iPhone 6S Plus, iPhone SE, iPhone 7, iPhone 7 Plus, iPad (4G), iPad Air, iPad Air 2, iPad (2017), iPad Mini 2, iPad Mini 3, iPad Mini 4, iPad Pro, iPod Touch, and iPod Touch (6G). The Final iOS 10.3.3 Official Download Links, tvOS 10.2.2, and watchOS 3.2.3 Direct Links are available below. What's New in iOS 10.3.3 Changelog? Apple iOS 10.3.3 Final Update offering some useful features and functionalities changes to iPhone, iPad, and iPod touch device users. You can read full iOS 10.3.3 Changelog via an image below. What's New in tvOS 10.2.2 Changelog? Apple tvOS 10.2.2 Final Update includes some bugs fixes and security improvements for Apple TV devices which you can read in below attached image. What's New in watchOS 3.2.3 Changelog? Apple watchOS 3.2.3 Final Update contains some performance improvements for Apple Watch devices. Read full watchOS 3.2.3 changelog below. How to Manually Install iOS 10.3.3 Final Update with iTunes? To get the official iOS 10.3.3 OTA Update directly on your compatible iOS-powered devices then you can navigate to Settings >> General >> Software Update option. 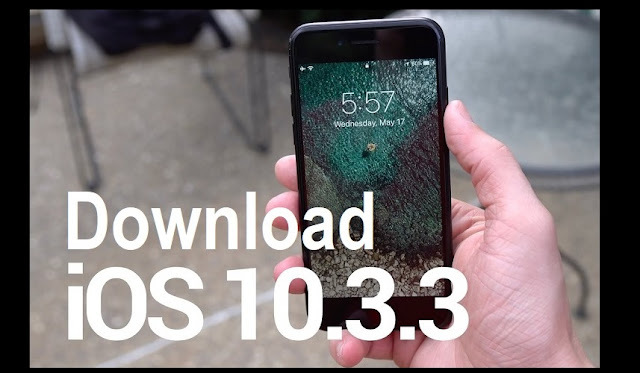 To do iOS 10.3.3 manual offline installation via .IPSW update files on iPhone, iPad, and iPod using iTunes, then you can free download iOS 10.3.3 ipsw via direct links available below.